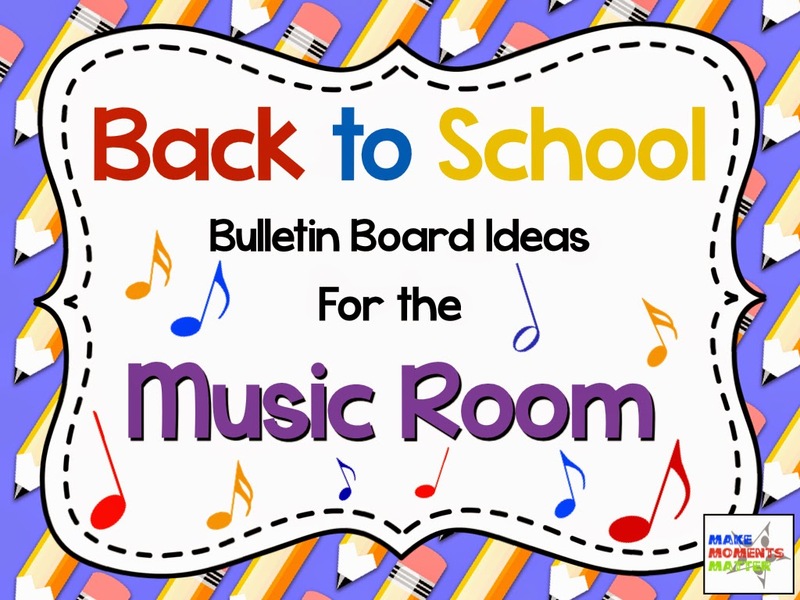 Today I'm excited to link up with David Row from Make Moments Matter, for his Back to School Bulletin Board Ideas in the Music Classroom Linky Party! I'm going to post some of my past bulletin boards. Here goes! I used this bulletin board to post any songs we learned from around the world. For example, when we learned "Ye Toop Doram" from Afghanistan, I posted a slip of paper with the title of the song, with yarn tied to a pushpin, which was pointing to Afghanistan. When learning songs from the United States, I figured out exactly which state the song was from and labeled it here. This is a great visual for geography, and for giving context to multicultural songs! 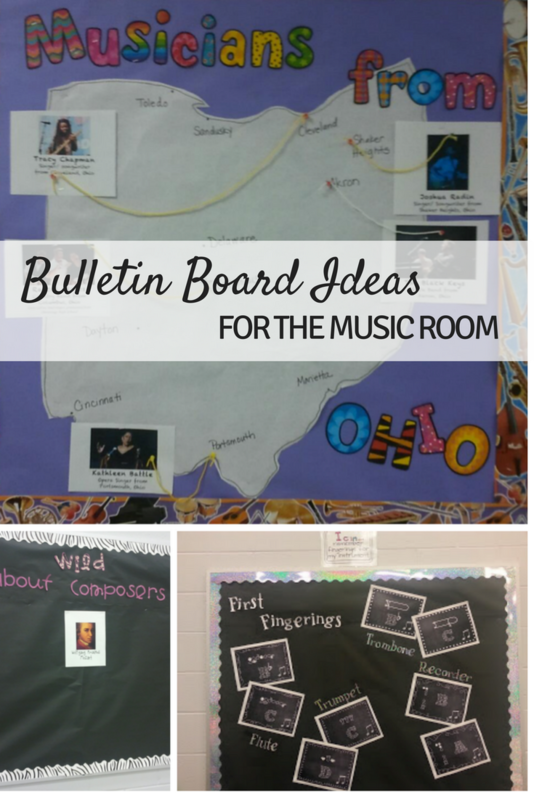 I used this bulletin board to post any composers that were currently being studied. For example, if my second graders were using "Rondo Alla Turka" to practice sixteenth notes, I could post Mozart, like shown above, and if my first graders were studying Beethoven for "Symphony No. 7," movement 2, to practice quarter rest, I could add his picture as well. A couple years ago, my school did a "Wild about Ohio" theme, so I did some research and found out which musicians came from Ohio, then created this bulletin board. You could do this for any state or province, though! To create the map of Ohio, I simply projected a map on a wall, taped some paper on the wall, and traced. I used pushpins to show the musicians and from which city they came. The visuals from this set are from my "Songs and Activities for Black History Month." In the future, I think I'll post this on lighter paper so the visuals pop more, but still, this is a fun way to teach about legendary musicians during Black History Month! I used my fingerings sets for the instruments I was teaching last year to post this set. It was a nice way to review the first fingerings for each instrument! If you are looking for other bulletin board ideas, make sure to check out David's post by clicking on the linky party image below. Looking for more music bulletin board ideas? Check out these! 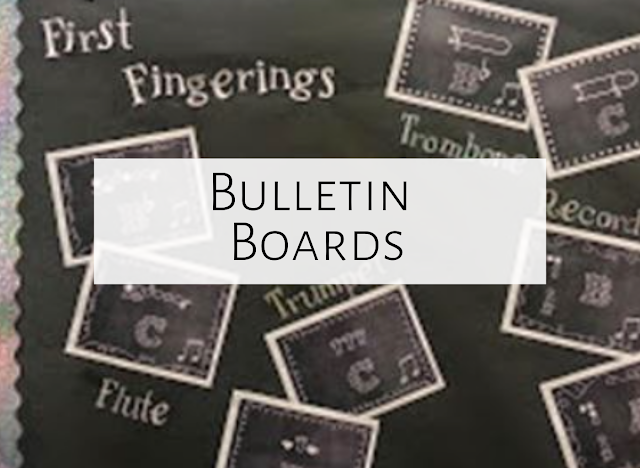 Have fun creating and posting bulletin boards, and have a great week! This is awesome! I can't wait to steal your idea and create a "Musicians from Kansas" bulletin board. I'll have to ask Lindsay if she's ever done something like that. Thanks for linking and sharing! No, I haven't but that's a great idea!